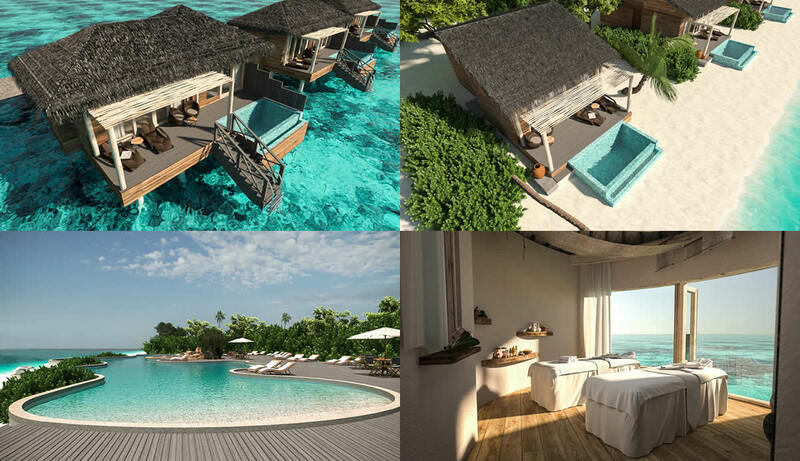 You & Me by Cocoon Maldives is the brand newest luxury, “adults only” resort for honeymooners and couples, opened on March 2019. 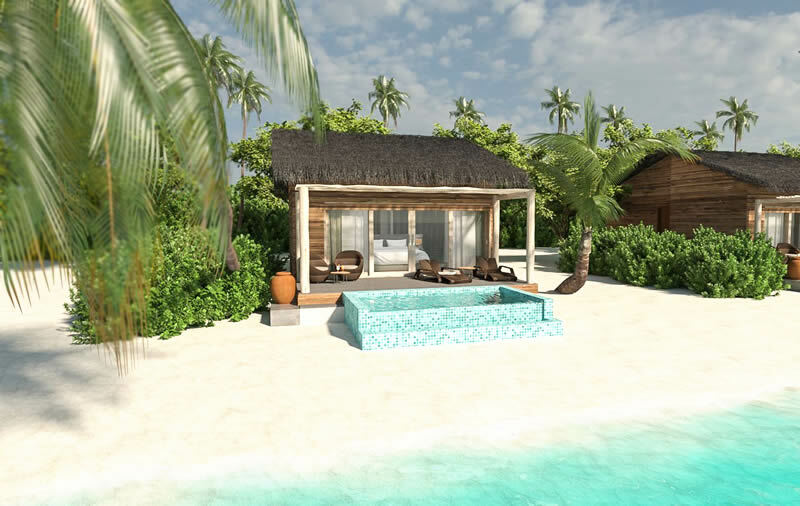 Set on a private island in Raa Atoll of the northern Maldives, You & Me by Cocoon offering a secluded, romantic hideaway in luxurious, “rustic-chic” style surroundings. With the spacious 109 Villas - 99 are over water and 10 are on the beach, six dining options provide world class cuisine in stunning settings, the over-water Orchid Spa, the large swimming pool and water sports centre, the resort offers one of the hottest go-to spots for honeymooners. If you're looking for five star standards and service in a lush world of unsurpassed tropical beauty, look no further. The great location of You & Me by Cocoon also makes it an ideal venue for water sports. 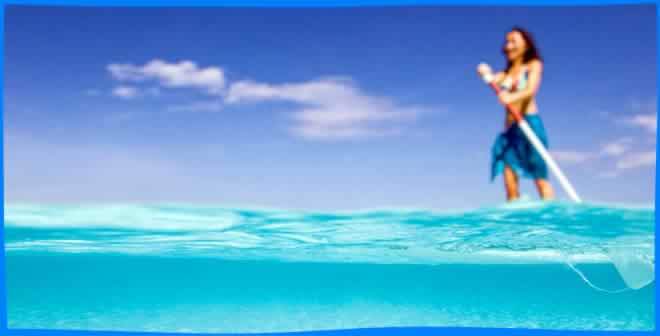 An officially certified diving school offers programmes and courses for divers of any ability, from beginners to experts. Exceptional diving sites are available in the vicinity of the resort. 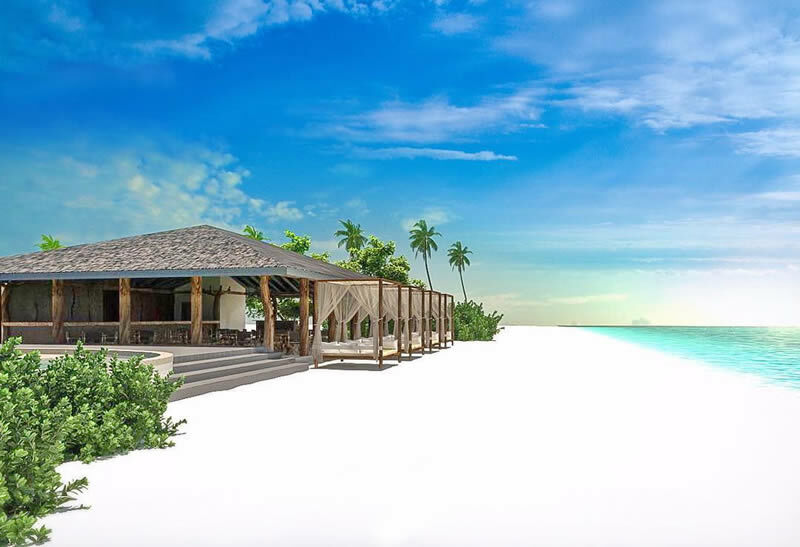 A brand new, 5-star resort, You & Me is located in Raa atoll, Northern Maldives. 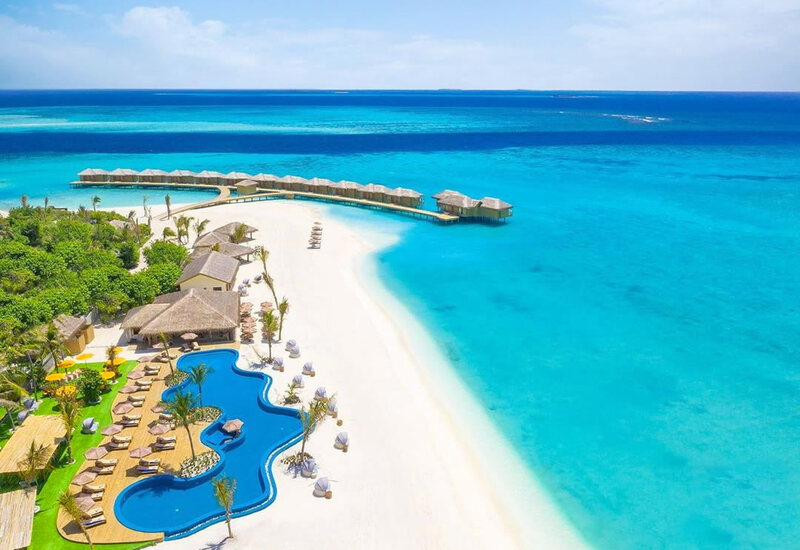 The private island is 175 kilometers north from Malé International Airport and accessible by breathtaking 45 minutes scenic seaplane transfer, or 30-minutes domestic flight followed with 20-minutes speedboat ride from Ifuru airport. Guests will be greeted and received by airport's staff and escorted further to the check-in counter. The outstanding accommodation options include 99 overwater villas and suites, and 10 suites with private pool set on the beach. 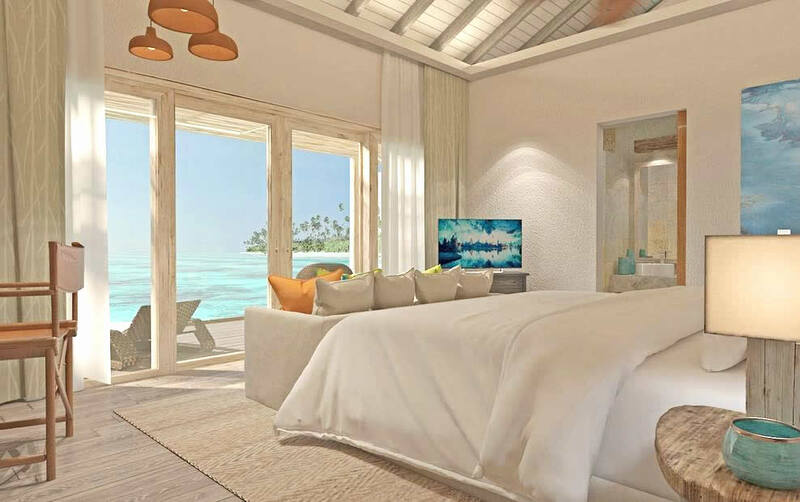 There are seven different room types to choose from, including Manta Villas offering a sunrise view, Dolphin Villas offering a sunset view or Dolphin Villas with Pool, again offering a sunset view. All are air-conditioned and have a barefoot luxury feel, with polished wooden floors, king-sized bed overlooking the ocean, rain shower and a seaside deck with an infinite view of the beautiful lagoon. Couples seeking sheer indulgence can choose an Aqua Suite or Aqua Suite with Pool. 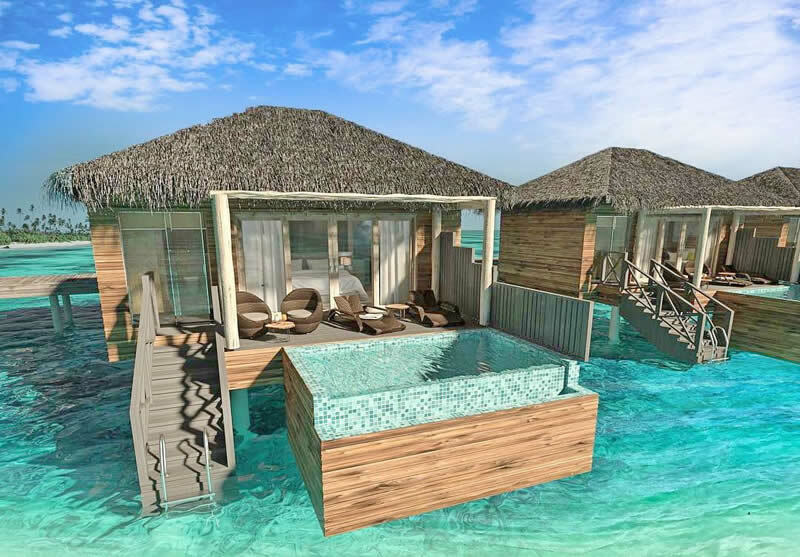 These are larger overwater villas, with a spacious bathroom with rain shower, couple's bathtub overlooking the ocean, king-sized bed, sofa and large outdoor deck to relax and sunbathe with lagoon access and spectacular sunrise views. The Aqua Suite with Pool features a private infinity pool in addition to the large sundeck, with direct lagoon access for guests to enjoy a dip in the pool or the ocean. On the beach, guests can opt for a Beach Suite with Pool. These spacious rooms offer a luxurious feel, with a beautiful bathroom including a couple's bathtub and rain shower, a king size bed overlooking the beach, sofa, sun deck and private pool with beach and sea views. 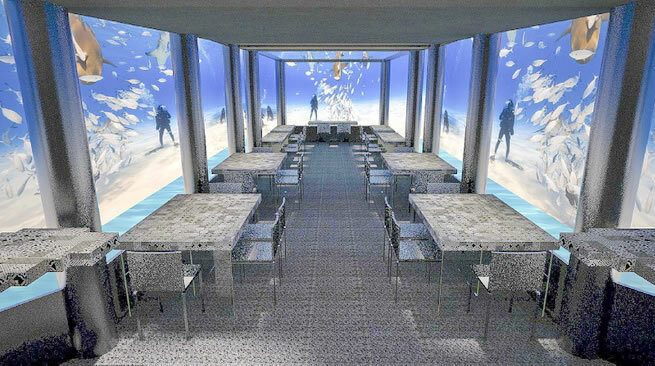 The resort’s gastronomic offerings include H2O, a fully-submerged, underwater restaurant that treats diners to a 360-degree view of the Maldives’ incredible marine environment, as they dine on gourmet cuisine that’s unrivalled in the Maldives. Located just 100 metres from the hotel, on the stunning, unspoilt reef, H20 is the only underwater restaurant in Raa Atoll and one of only six in the whole of the Maldives. Green Carpet is an à la carte garden restaurant, overlooking the pool and beach, where guests will dine on a pretty, English-style lawn. The Sand serves freshly cooked international dishes prepared at bespoke live cooking stations and is open for breakfast and dinner. Rising Sun serves a Japanese, à la carte, fine dining menu for lunch and dinner and Italians do it better…la pasta is a relaxed beachside restaurant, serving Italian favourites such as pasta and pizza for lunch and dinner. Every meal served in the resort’s restaurants is freshly prepared from an à la carte menu, with no buffet service meals at any time. Beside the main pool area, is the Cheers Bar, adorned with hammocks and lounge chairs, serving freshly made cocktails as well as a wide variety of wines and champagnes, offered via a unique partnership with Veuve Clicquot. At Cheers Bar, guests can enjoy live music performances and entertainment each evening. When not relaxing and discovering the beauty of the island, guests can opt for a range of activities and excursions, including water sports, scuba diving, local island tours, big game fishing tours, snorkelling trips and dolphin cruises. Daily entertainment includes live music and Maldivian cultural showcases. No stay at You & Me by Cocoon would be complete without a visit to the You & Me Spa, featuring four double treatment rooms. Experienced therapists offer a wide range of therapeutic treatments, featuring Elizabeth Arden products, designed to soothe the mind, body and spirit to ensure a sublime spa experience. 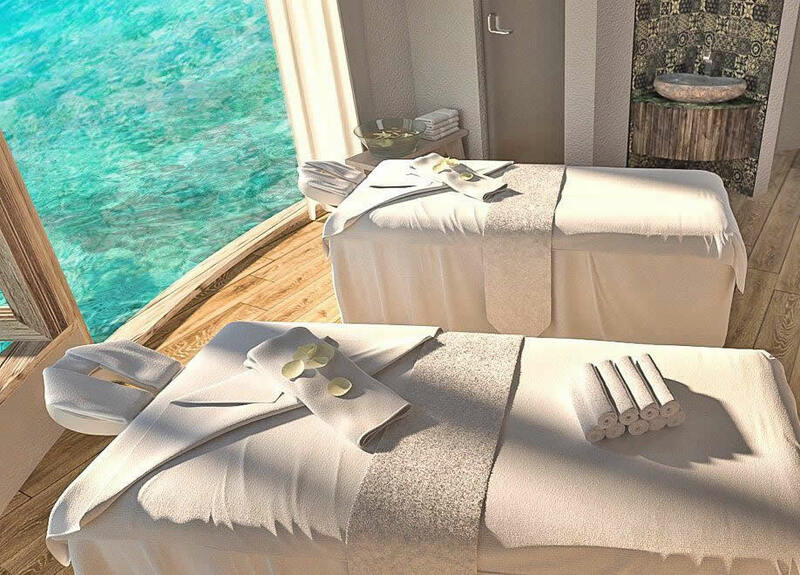 The spa rooms look out on the beautiful azure seas of the Raa Atoll. You & Me's Water Sports Centre offers everything you need for the ultimate water sports thrill. From snorkelling to jet skis, we have the complete range of water sports equipment and activities to satisfy even hard-core adventurers. 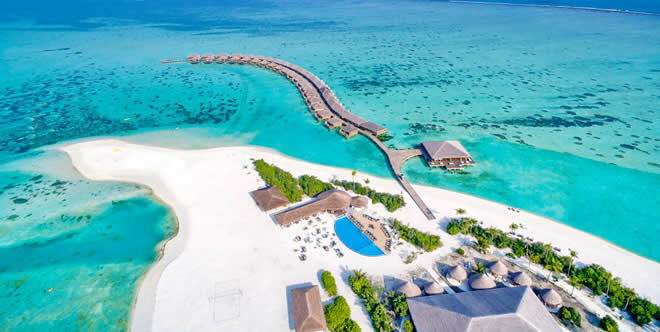 You & Me is a great location to see some of the Maldives' most charismatic megafauna, such as manta rays, turtles, napoleon fish, and grey reef sharks. You & Me houses a fully-equipped diving centre, run by certified professionals. Novices can learn to dive and complete their PADI certificate here. Experienced divers can enjoy bespoke dive trips to some of the Atoll's most vibrant dive sites.